In the first century of the Common Era, there appeared at the eastern end of the Mediterranean a remarkable religious leader who taught the worship of one true God and declared that religion meant not the sacrifice of beasts but the practice of charity and piety and the shunning of hatred and enmity. He was said to have worked miracles of goodness, casting out demons, healing the sick, raising the dead. His exemplary life led some of his followers to claim he was a son of God, though called himself the son of a man. Accused of sedition against Rome, he was arrested. After his death, his disciples claimed he had risen from the dead, appeared to them alive, and then ascended to heaven. Who was this teacher and wonder-worker? His name was Apollonius of Tyana; he died about 98. A.D., and his story may be read in Flabius Philostratus's Life of Apollonius. 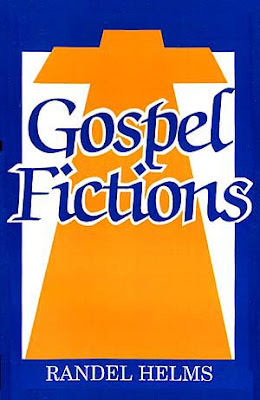 Thus begins a fine little book by Randel Helms, Gospel Fictions. Helms looks at the nativity stories, the miracle stories, the passion narratives and the resurrection accounts and shows how the various gospel authors used stories of the Old Testament as sources for their theological fictions. When you read the gospels you will often run across the phrase, "according to the scriptures," or "as was spoken by the prophet", or sometimes just a quote from the Hebrew Scriptures. This is done to show that in Jesus "the scriptures were fulfilled." In Sunday school I was told that meant that the Old Testament predicted the New Testament. The events recounted in the Gospels really happened and had been foretold by the prophets. Helms has a different idea. From his point of view, the earliest Christians turned the Hebrew scriptures (and they used, for the most part, the Septuagint (LXX), the Greek language "Old Testament") into a story about Jesus. Every story in the Old Testament is really about Jesus Christ. With this theology, they didn't look for evidence for the historical person of Jesus as we would today, they were interested in the theological Jesus who they found by interpreting the Old Testament. The Old Testament is a source of authoritative reports about Jesus. So if you wanted to recount an event about Jesus, you went to the Old Testament and retold one of those stories with Jesus as the main character. That isn't quite the same thing as we might do today. You might remember this story. Our hero is in the wilderness with a large number of people. They are hungry. The food available is too small to feed the large crowd. The hero's assistant complains that there is not enough food. The hero says feed them anyway. They eat and there is food left. You find that story in 2 Kings 4. Elisha is the hero, the "man of God." He has 100 men to feed with 20 barley loaves. Of course you also find that story in the Gospels. Jesus does Elisha better and feeds 5000 with five loaves and two fish. Helms shows us story after story in which the literary antecedents for the gospel narratives are found in the Old Testament and sometimes in Greek literature. It is really fun and eye-opening. Helms wrote this book 20 years ago. Literary criticism of the Bible has moved ahead since then. But if this type of criticism sounds interesting, this accessible and informative book by Helms is a good place to begin. O.K., time to be pastoral. This is not really that amazing, frankly. The only reason folks might think this is controversial is because Christians, in my view, have made an idol of the Bible. They have decided that it must be historically accurate by our standards of history. Each event must be historically accurate or it isn't true. In my ministry I have had church members become angry when I mention literary criticism. You know why they were angry? They were angry that their ministers knew about this kind of stuff before and never mentioned it. So they had to spend all those years thinking they had to believe the Bible in some literal way when scholarship (and their common sense) provided a far more satisfying alternative. You know, one of the gifts of my Catholic Christian faith (after all, there is so much mishagas, I add in Yiddish!) is that we are invited to read the scriptures and not take them literally. "To search out the intention of the sacred writers, attention should be given, among other things, to "literary forms." For truth is set forth and expressed differently in texts which are variously historical, prophetic, poetic, or of other forms of discourse. The interpreter must investigate what meaning the sacred writer intended to express and actually expressed in particular circumstances by using contemporary literary forms in accordance with the situation of his own time and culture. (7) For the correct understanding of what the sacred author wanted to assert, due attention must be paid to the customary and characteristic styles of feeling, speaking and narrating which prevailed at the time of the sacred writer, and to the patterns men normally employed at that period in their everyday dealings with one another." Of course - imagine all the Catholic pastors who don't share that tidbit! It is how I open all the adult faith formation/Scripture studies that I teach! People start out scared and usually end up curious and in love with the Word in a new way. Falling in love with the Word is one thing - making an idol of it, as you say- is another. Plus how very limiting is that? Thanks, Fran! Thanks also for the quote. Catholics haven't had the same problem with making an idol of the Bible that Protestants have had. 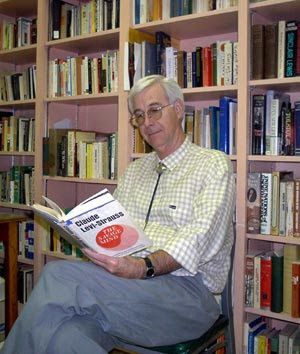 One of my favorite Catholic scholars is John Dominic Crossan. I hope he is still well received in Catholic circles, but I am not sure. Do many people from your church come from fundamentalist backgrounds? Were they taught that if they didn't have a certain view of Scripture, they are heading to Hell in a handbasket? I"m trying to understand. Why do they all feel angry? Even, the most informed scholars can disagree. But, as a Christian, I'm feeling the center of our faith, and fellowship together is in Jesus Christ. It's not around a certain view or interpretation of every passage of the Scripture. My own priest just three days before her ordination in a conservative diocese almost don't make it. She was told that she was "of the devil" because of her view relating to Scripture, and homosexuality. It can get pretty crazy. My concern with the radical progressive movement in the churches really doesn't center so much around the Bible. I think we can agree to disagree. But, it seems to me that "reason,"is left to stand alone, and it's almost as if nothing can be accepted of God which is not some how empirically shown by contemporary science. The incarnation which I feel is at the center of our faith as Christians is basically nixed. The resurrection of the Lord is considered either a hoax, or a personal existential experience. It all seems to me as unbalanced in it's approach as fundamentalism which seems to represent another polar extreme. I think the Episcopal church has it about right when we call for the via media, and a balance between reason, Scripture, and the tradition of the church. Anyway, just to let you know, after talking with my priest, I"ve decided to take a break from blogging for awhile. But, I"ll be reading some of those books you've recommended, and hope to be back after the holidays for more good discussion. God's peace to you, John. Why do they all feel angry? They don't all feel angry. I am not talking about my current church. My predecessor here had introduced scholarship for many years. The people in my current church are some of the brightest I have ever met. It is a challenge to keep up with them. This goes for folks in my previous congregations as well. The point I am making is that many clergy have withheld what they learned in seminary out of a sense of protection for people's faith. We were given that message that higher criticism would be upsetting and it wasn't pastoral to bring it up. If you must bring it up bury it in some bible study that no one would attend. I didn't like that answer in seminary and I still don't. In my experience of bringing this information to folks, the opposite has occurred in many cases. I found people upset that their ministers knew this information and didn't bring it up. They didn't like being treated like children. They were relieved that they weren't the only ones who "doubted" and were excited about the fruits of higher criticism. I can see your point, John. But, in my experience it is extremely difficult to find a local body where every scholarly approach, and view is going to be given equal time. I bet there are some folks out there in the radically progressive congregations who may come to feel equally upset that their minister has not shared the approach of the more orthodox scholars in some of these questions, and issues. They might wonder why all these folks have not been given equal time. I mean what about those in the mainstream who are critical of some of the methods, and presuppositions of the Jesus Seminar, for instance? In your own congregation does N.T. Wright have equal time, and a truly respectful hearing along with Marcus Borg? If not, why not? Also, I think there are many people in the church who sincerely do struggle with honest doubt, and questions concerning the Christian faith. They're looking for truth, and just don't want to sweep stuff under the rug. Others, though, are naturally and deliberately drawn to skepticism, and unbelief, and rejoice in heresy. They have a specific agenda to redefine the Christian faith within the church. There's a difference in my mind. But, we are only able to discern by outward appearance, of course, while God searches and knows our heart. You can come over and rescue them before I lead them astray. BTW, I give NT Wright all the time he deserves. NT Wright and folks like him get much more time than they should in about 98% of the churches, so that gives us a LOT of latitude, if you ask me, Grace! John... You give NT Wright all the time he deserves. Oh you! That is not why I returned. Re Crossen- well it depends on who you ask, the conservos do not love him so much. You know where I stand! BTW my friend Elizabeth mentioned him in her posted sermon from Sunday. And FWIW, today Elizabeth and her partner Ms. Conroy celebrate 32years of comitted relationship. Go say hi! I wonder if, given what I believe is an Anglican background, grace is not aware that in the PCUSA, the congregation calls the minister, he/she is not appointed through a Bishopric system like the Catholic/Anglican system. Of course, plenty on the far right would, it appears, support such a plan for ministers (they've already imposed vows of chastity), but I think we can safely say, grace, that if John hasn't been fired, it's because his congregation isn't too angry at him. "Rejoice in heresy"? Really? That's the sort of language we're using now grace? That's very pleasant. Truly. I can't imagine why I continue to take your comments seriously, except that you seem so nice. Fran--that was a great sermon, thanks! Alan--I have to spoon feed them everything. Then we rejoice.